It’s a busy time, launching a new book into the world. Five years of work to bring the book to life, and then letting it free and hoping people see it and want to read it. With the support of my publisher Allen&Unwin, I’ve been enjoying talking to readers at events all over the east coast of Australia, and I’ve also been chatting to lovers of literature on the airwaves - radio and podcasts. It has been very exciting. Imagine the thrill of seeing your book in shops and being reviewed in newspapers … a special thrill when the reports are good, which has been the case so far with ‘The Orchardist’s Daughter’. 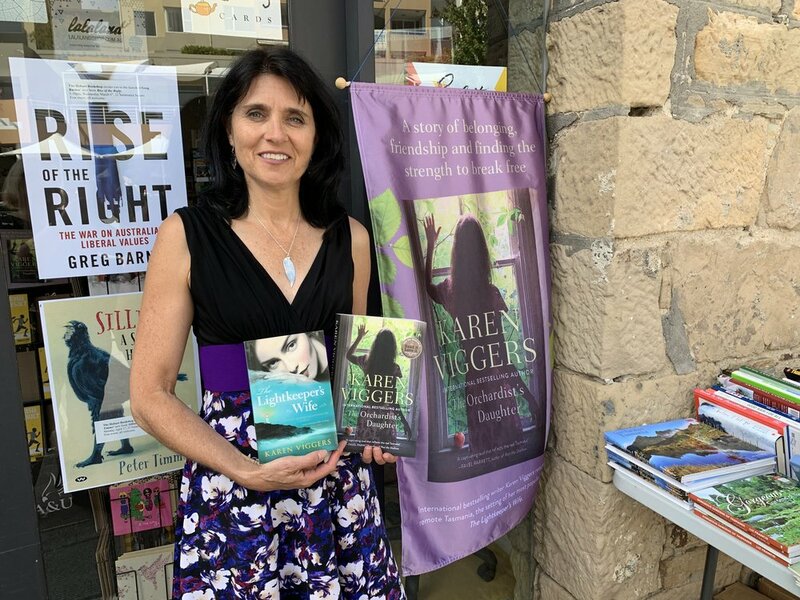 I have quite a few events coming up as well - you can find all the details on my website events page (https://www.karenviggers.com/events). Here are a few photos of my journey so far, talking with readers about books and writing. At 3CR with Dave, author CP Pomere and Jan Goldsmith. Collins Booksellers Croydon, Bowral Friends of Wingecarribee Libraries. Dymocks Brisbane. 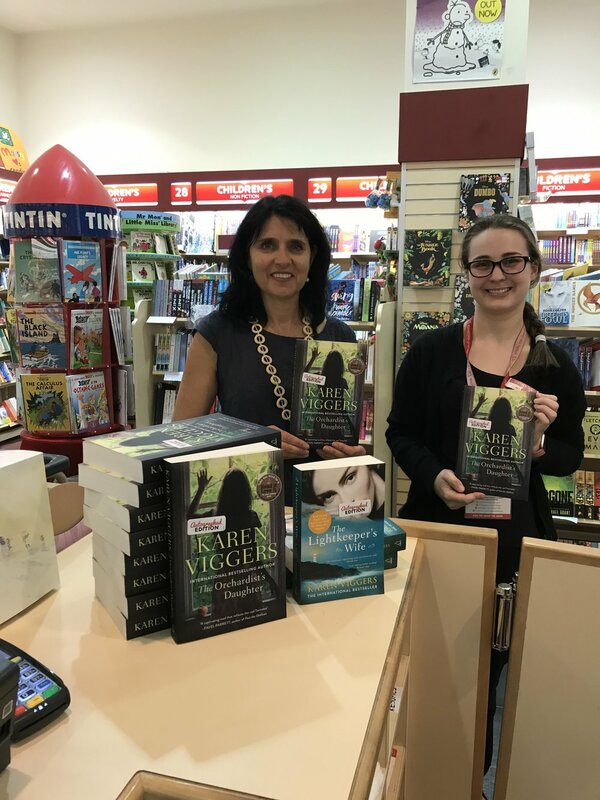 Dymocks Doncaster. Dymocks Hobart. Fairfield Books, Melbourne. The Hobart Bookshop. The State Bookshop, North Hobart. Yarra Junction Library. RACV Book launch with Chairman Netta Griffin. For all my Melbourne friends. I am having a book launch for my new novel 'The Orchardist's Daughter' at Readings Hawthorn on February 26th at 6:30PM. It should be a fun event. Kylie Ladd, author of ‘The Way Back’, ‘Mothers and Daughters’, ‘Into My Arms’, and ‘Last Summer’ will be launching the book. Please share with your friends. All welcome. Thanks to my lovely publisher Allen & Unwin Books, I have five copies of 'The Orchardist's Daughter' to give away! Just tell me in 25 words or less why you would like a copy and the most interesting answers will receive a book. While I was in France back in April I did an interview with Mollat, one of the biggest bookshops over there, located in Bordeaux. Here is the interview, with subtitles for French readers. Here are some photos of the lighthouse and guiding light at Wollongong from my trip a couple of weeks ago. I never can resist visiting lighthouses. Very excited to have finally updated my website. It's one of those things that authors keep putting off. Sometimes we'd rather write a whole novel than deal with technology. But here it is. I've conquered a new platform, and it's ready to go.